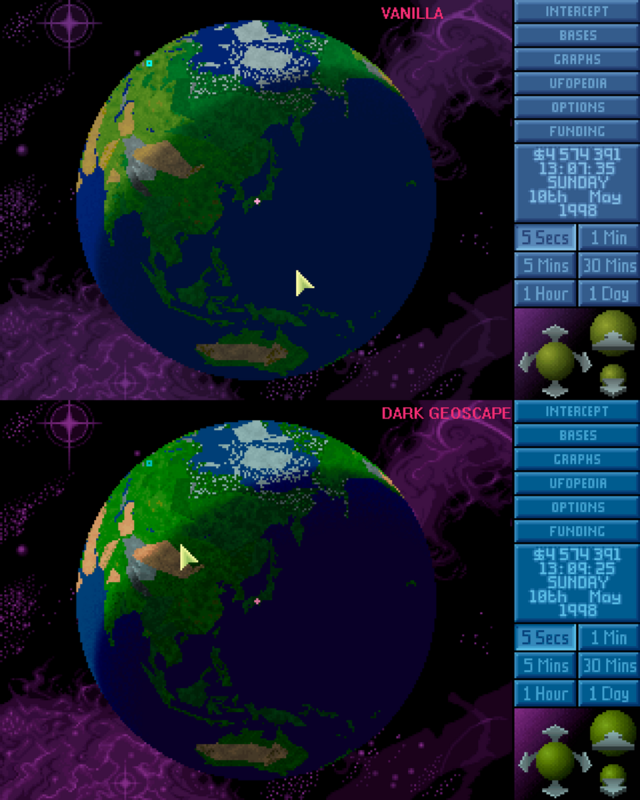 Changes the Geoscape palette to make it a bit more vivid: the nightside was made more inky, the deserts are warmer, the greens a bit more intense. This is particularly visible around the terminator. New palette by Chronocide Commando, I only packaged it to a standalone mod.